You don’t have to be rich to experience better cognition, think faster or perform better. You don’t even need a prescription for the latest brain enhancing drug. It’s easy to get confused with more and more headlines declaring Adderall or Modafinil a nootropic. And unless you are aware of how powerful natural nootropic supplements are, and how they differ from a ‘smart drug‘, you’ll ask your doctor for a prescription on your next visit. But at what risk? We’ll get into that in this post. So let’s clear this up from that start. All nootropics are brain enhancers. But not all brain enhancers are nootropics. 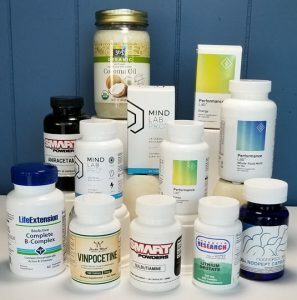 This post is intended to help you understand what each brain enhancing smart drug is, why neurohackers use them, the clinical evidence they use to justify their use, and the risks involved in using these drugs. 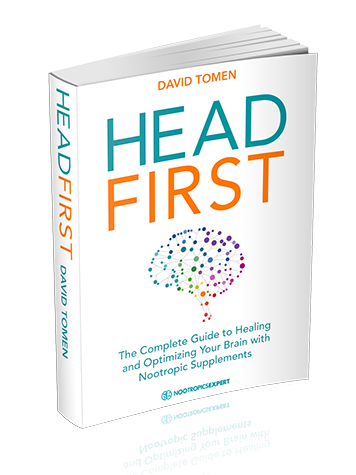 You also learn which nootropic supplement can be used instead of a smart drug. They’re safer, come with far fewer side effects, and for most people can provide a similar benefit. We have the science to back these claims. And decades of personal and community experience testifying to how well they work. Adderall is a combination of four salts of which two are types of amphetamines (levoamphetamine & dextroamphetamine). These amphetamines are agonists of TAAR1 (trace amine-associated receptor 1) and interact with the monoamine transporter (VMAT2). This increase in activity of dopamine and norepinephrine acts as a central nervous system stimulant. 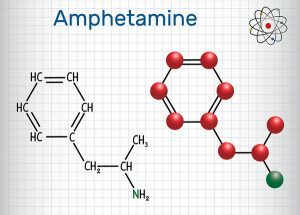 Amphetamines including Adderall are considered Schedule I or II drugs or controlled substances in most countries. And are legally purchased with a prescription from a qualified psychiatrist to treat ADHD or narcolepsy. But Adderall is also commonly used off-label to help you stay alert and focused in high-pressure jobs or as a study aid. In 2011, researchers at the University of Pennsylvania published a study on the effectiveness of prescription stimulants as “Smart Pills”. Amphetamines including Adderall can be highly additive particularly if you are prone to addiction. Long-term, therapeutic dosage of Adderall has been shown to be relatively safe but does come with a host of possible side effects. Including high blood pressure, reduced blood flow to hands and feet, increased heart rate, erectile dysfunction, stomach pain, appetite loss, nausea, blurred vision, dry mouth, teeth grinding, insomnia, nose bleeds, and more. Adderall is approved in the USA by the FDA to treat ADHD or narcolepsy only. It’s a Schedule II drug and purchase or possession without a legitimate doctor’s prescription can result in being charged with drug possession. Donepezil is an acetylcholinesterase inhibitor used to treat Alzheimer’s Disease. Donepezil works by inhibiting the enzyme responsible for the natural breakdown of acetylcholine (ACh). Acetylcholine is critical for encoding memories, reasoning, concentration, cognition, and neuroplasticity. Some neurohackers use Donepezil for improving memory and concentration on complex tasks. The FDA in the United States has approved Donepezil for the treatment of Alzheimer’s. 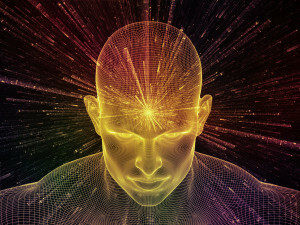 And some blogs devoted to the biohacking world claim that we have clinical evidence proving it can used to enhance cognition in healthy people. Donepezil side effects include diarrhea, nausea, vomiting, insomnia, muscle cramps and loss of appetite. A far better and safer acetylcholinesterase inhibitor and alternative is the nootropic supplement Forskolin. L-Deprenyl is a selective MAO-B (monoamine oxidase) inhibitor at lower doses. But in larger doses also inhibits MAO-A. The enzyme monoamine oxidase breaks down monoamine neurotransmitters including dopamine, epinephrine, norepinephrine, serotonin and melatonin. MAO-B breaks down only dopamine and phenethylamine. So inhibiting this enzyme prevents the breakdown of dopamine. More dopamine contributes to better memory, attention and focus, faster thinking, less anxiety and an improved mood. L-Deprenyl is used primarily as an anti-aging drug. But neurohackers report that long-term use of low-dose (5 mg per day) of L-Deprenyl helps boost mood, energy, and libido in older men. Because it boosts dopamine in your brain. Early studies showed the amazing anti-aging benefits of L-Deprenyl. When given to dogs they had twice the survival rate compared to placebo. And mice lived about 200% longer when given L-Deprenyl. The FDA has approved L-Deprenyl for treating early stage Parkinson’s disease. And an expensive skin patch named Emsam® for depression. Low-dose L-Deprenyl is considered very safe when used long-term. But side effects can include irritability, insomnia, nausea, and stomach upset. And you’ll likely have a difficult time convincing your doctor to give you a prescription for L-Deprenyl as an anti-aging drug. Instead, you can use a natural nootropic MAO-B inhibitor like Oat Straw. Methylphenidate is a dopamine and norepinephrine reuptake inhibitor. Which means it binds to and blocks dopamine and norepinephrine transporters. Leading to an increase of these neurotransmitters in your brain. Methylphenidate acts as a central nervous system stimulant and is a first-line of defense in the treatment of ADHD and narcolepsy. Methylphenidate exhibits a distinctly different mechanism of action in your brain compared to Adderall (amphetamine). Methylphenidate is used off-label by healthy neurohackers to boost alertness and improve focus and memory. Methylphenidate is a scheduled or controlled drug in many countries around the world and only available with a doctor’s prescription for treating ADHD or narcolepsy. Possession of this drug without a prescription can be treated as drug crime. 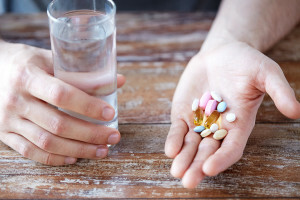 The most common side effects of Methylphenidate include anxiety, irritability, appetite loss, dry mouth, stomach pain, lethargy, dizziness, heart palpitations, blood pressure changes, rapid heart rate, reduced blood flow to hands and feet, blurred vision, dry eyes, depression, confusion and teeth grinding. Methylphenidate can worsen psychosis in psychotic patients. And mania if you are bipolar. A safer alternative for prescription Methylphenidate in any age category is L-Tyrosine or N-Acetyl L-Tyrosine (NALT) for increasing dopamine in your brain. Available as a standalone supplement, and in some of the better pre-made nootropic stacks like Mind Lab Pro® or Performance Lab® Mind. 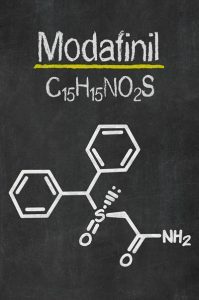 Modafinil is a unique dopamine reuptake inhibitor that binds to the same dopamine transporter as cocaine but in a different manner. [xiii] Resulting in a drug with less abuse potential. 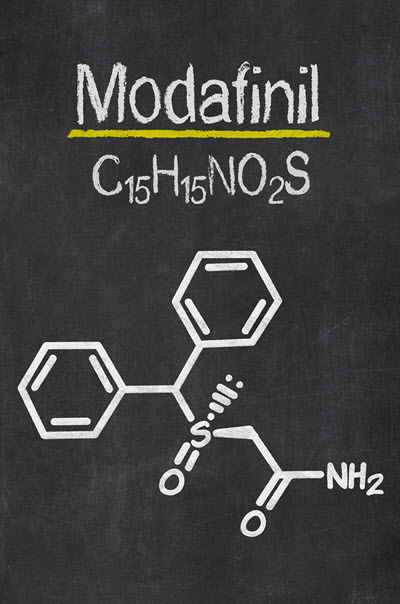 Modafinil is sold under the brand names Provigil® and Nuvigil® as a wake-promoting agent. And is approved by the American FDA for the treatment of narcolepsy, shift work sleep disorder, and obstructive sleep apnea. Neurohackers use Modafinil for alertness, boosting reaction time, motivation and enhancing cognition. 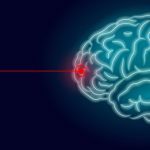 Reports by neurohackers in forums and blog posts praise Modafinil and love how it improves alertness, reaction time, faster thinking and they claim to be more productive. Another team at Harvard conducted a meta-analysis using the keywords “modafinil” AND “cognitive” for MEDLINE studies from January 1990 until December 2014. Investigating the cognitive actions of Modafinil in healthy, non-sleep deprived humans. Modafinil is a controlled drug in most countries and requires a doctor’s prescription. Modafinil side effects during clinical trials report anxiety, headaches, diarrhea, dizziness, nervousness, increased heart rate, perspiration, and stomach problems. Addiction and dependency seem to be low with Modafinil. But long-term use could result in psychological dependence. Reported withdrawal symptoms after long-term use include anhedonia, anxiety, insomnia and lethargy. When leading business magazines like Forbes publish articles about the benefits of ADHD in business. And the Wall Street Journal equates nootropics with prescription smart drugs, it seems like verification that amphetamines are worth the risk to get ahead in life. But now you know the risks involved when using these smart drugs. It’s the reason why NootropicsExpert exists. To help you make an informed decision about your health. And live a better and more productive life. 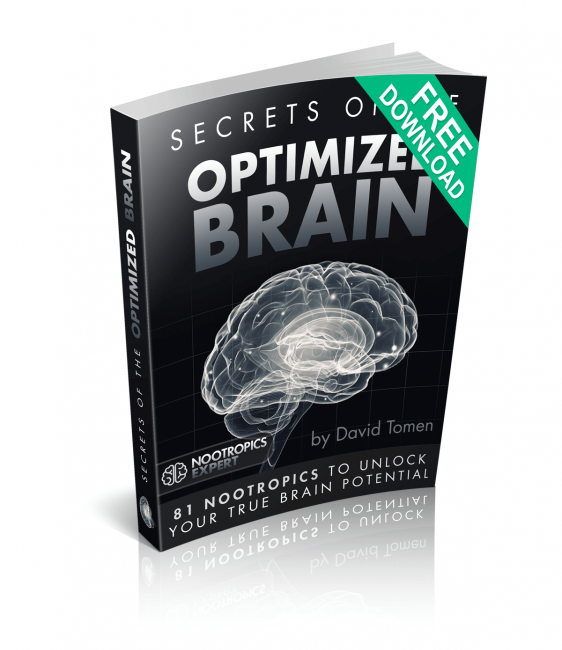 Use natural nootropics to boost dopamine, norepinephrine, serotonin and acetylcholine. And bypass the risk of smart drugs.